hd00:16KOH PHANGAN, THAILAND - DECEMBER 12, 2015 : Girl DJ at beach club playing mixing music on vinyl turntable before Full Moon party on island Koh Phangan. sd00:14BAJA CALIFORNIA - JUNE 04, 1996: Men in beached fishing boat cut the fins from manta rays. hd00:16Freelancer on vacation. 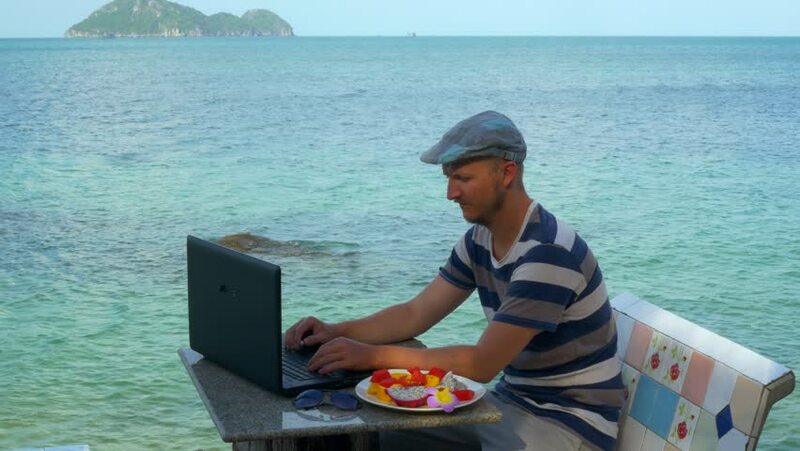 A man swims with a laptop. 4k00:18Guy Floats in the pool on the roof of the hotel with a beautiful view. 4k00:26Quick cleaning of the path from the snow. 4k00:15A man turns a plate with a beautiful burger.